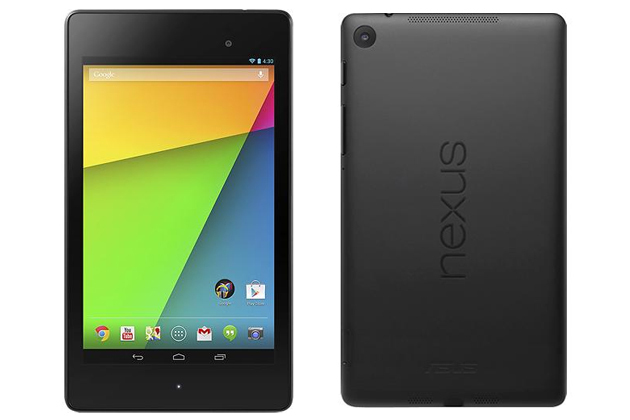 “The Google Nexus 7 is made by ASUS and packs a serious punch. With a quad-core Qualcomm Snapdragon™ S4 Pro processor and 2GB of RAM, everything runs faster. Plus, high-performance rendering ensures 3D graphics are smooth and dynamic. Along with the performance upgrades, they also added a rear facing camera, a higher resolution display, and made the whole form factor smaller and more compact. If you ask me, this is still the best and cheapest 7inch tablet you can get. You could buy one nexus 7 and a Chromecast for every TV in your house, and still pay less than what an iPad costs. PS- Follow the link in the tweet below to see the live event where Google announced android 4.3, the new Nexus 7’s, and Chromecast! Posted on July 25, 2013, in Average Blog Posts and tagged 7, best, chromecast, event, google, High, live, live event, new, nexus, tablet. Bookmark the permalink. Leave a comment.